performance. Look at the spread from birth to yearling. 2. 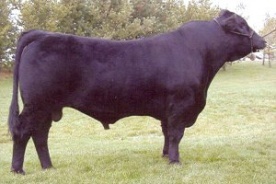 Great maternal value and will add length, growth and super udders to his daughters. 3. Lots of beef, thickness and muscling as shown by his carcass data.